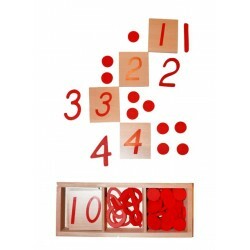 These materials introduce young children to numbers. 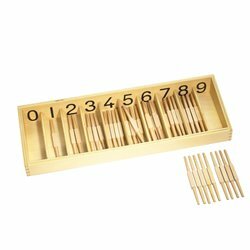 A typical first item would be the Numeric Rods. 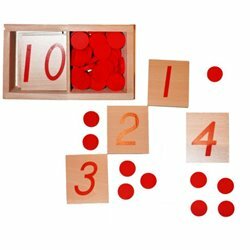 Next, the Spindle Box introduces the concept of 2zero2 being nothing which leads on to the Numerals and Counters. After this, children can progress to the Golden and Coloured Beads (see next category). 1) Number Introduction There are 5 products.